Geraldton is a coastal city in the Mid West region of Western Australia, located 424km north of Perth.At June 2015 Geraldton had an estimated urban population of 39,825. Venture out of the city with trips to Port Denison (The Fishermen's Memorial Lookout and Obelisk, South Beach, & more), Kalbarri (Blue Holes, Rainbow Jungle, & more) and Northampton (Oakabella Homestead, Tea Rooms and Campground & Elbenjo animal sanctuary). 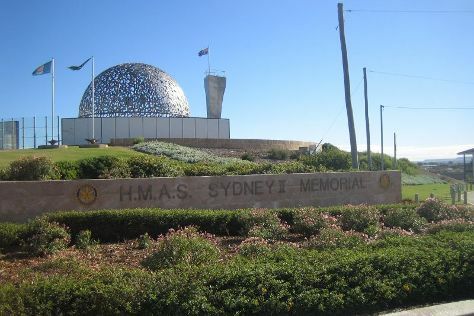 There's much more to do: learn about all things military at HMAS Sydney II Memorial, take some stellar pictures from The Loop and Z Bend Gorge, look for all kinds of wild species at Coalseam Conservation Park, and take an in-depth tour of Museum of Geraldton. To see reviews, where to stay, ratings, and other tourist information, you can read our Geraldton online trip maker . In May, daily temperatures in Geraldton can reach 28°C, while at night they dip to 13°C. Cap off your sightseeing on the 28th (Tue) early enough to travel back home.